The Leonardo da Vinci: A Life in Drawing exhibition has arrived in Sheffield. When a similar exhibition came to Cape Town about 5 years ago, it cost a lot money to go and see it, but this one is free. Aside from the Samsung S, a Huawei wotsit – and golly gosh, is that smart new iPhone? – you can see the Mona Lisa’s mysteriously smirking visage. Yes, just above the all-American college sports student’s perfectly groomed head, but below his outstretched hand. Aside from my beautiful composition, I’m most impressed with the guy on the right. How the actual hell has he managed to get such a clean shot of the chick with the smile? 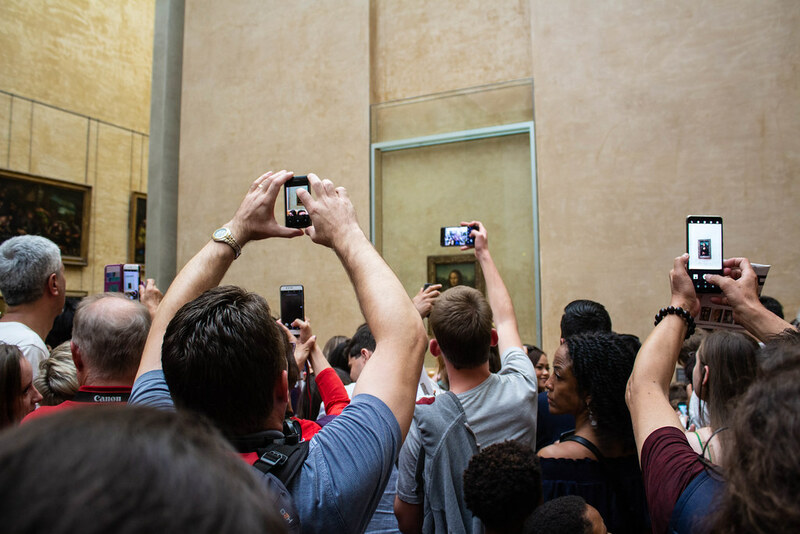 Or has he just googled “Mona Lisa on a light background” and then held his phone aloft? Clever. Whichever it is, I’m definitely going to do that next time I’m there – just so that someone else might ask the same question 8 months after their visit.